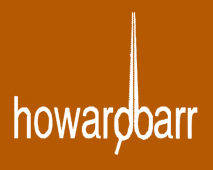 Thank you to all my clients who visited the Howard Barr Studio at Glo over the last year. I apologize for the abruptness of this announcement but unfortunately, Glo Salon is closing at the end of May 2010. I will take clients at Glo for the last time on Saturday May 22, 2010. On Wednesday May 26, 2010, I will be open for business down the street at Gliss Salon. Gliss, which is an impressive and modern salon, is at 131 Avenue Road, Toronto, ON M5R 2H7. (MAP) The entrance to Gliss is on Webster Avenue, which is only a block north of Glo, on the east side. Gliss Salon is very excited to welcome all of you, and has three specialized, experienced and well-regarded colour technicians. You can book appointments or leave a personal message for me at 416.599.3113. You can also email me with any questions or concerns at howard@howardbarr.com.